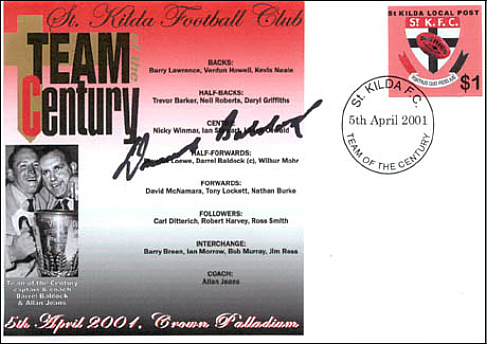 The St Kilda team of the Century was presented at a function at the Palladium at Crown on the 5th April 2001. 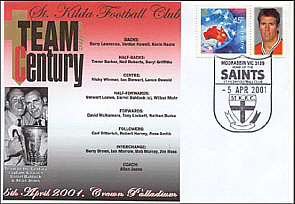 It was commemorated by release of a cover produced by First Class Collectables. 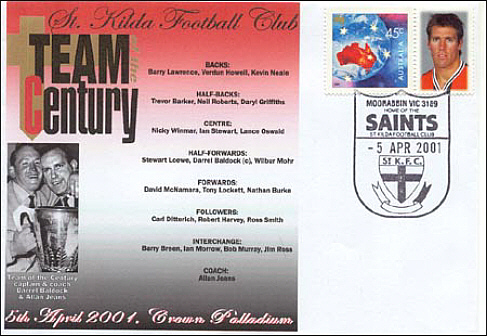 The cover was also released with the Saint Kilda Local Post label and Postmark. The team was unique among the current Team of the Centuries in that the Team had three current players, namely, Loewe, Burke and Harvey, and most players were from the latter half of the Century.